National regulations of increasing variety and complexity confront businesses participating in global commerce, expansion and transactions. From increasingly strict export controls to ever-expanding sanctions, you often face a daunting set of hurdles. Look to Dentons when you need trade regulation law and policy counsel. We are uniquely positioned to assist clients understand and comply with the international laws and regulations they are confronted with while doing business outside their borders. Whether you need support with export related investigations (both civil and criminal), transaction due diligence, export licensing and interpretation or negotiation of export enforcement settlements, you can rely on our more than 25 years of experience in this area. You will be supported on whatever issues arise, including complex export compliance matters, cross-border due diligence and classified investigations. Benefit from a team with extensive experience working with the US Departments of State, Commerce, Justice, Defense, Homeland Security and Treasury, as well as Energy and the military services and their counterparts in Europe, Canada, Asia, Africa and the Middle East. Our team’s practice includes the complete conduct of internal investigations into actual or potential compliance issues arising under export control and international sanctions laws in the countries in which we have offices, including in the US the International Traffic in Arms Regulations (ITAR), Export Administration Regulations (EAR), Office of Foreign Assets Controls Regulations, US Customs Regulations and Foreign Trade Regulations as well as extensive litigation experience before the International Trade Commission, US district courts, US Court of International Trade, Court of Appeals for the Federal Circuit, and other US administrative agencies, including the Federal Aviation Administration and Customs. In today’s regulatory climate, your company can be required to provide information to a variety of government agencies - information you may not routinely release to the public. In the US, we will help you develop responses to various executive and congressional information requests and filings, including those under section 332(g) of the Tariff Act, BE-13 filings with the US Department of Commerce or ITAR registrations and 122.4 notices with the Department of State. Cross-border transactions require experienced counsel to shepherd transactions with national security issues through the CFIUS process in the US and the Investment Canada Act national security reviews in Canada. You can rely on our extensive experience to help you develop a strategic approach to the resolution of national security concerns arising from investments in companies and businesses by foreign entities - with a track record covering almost every industry and transactions from dozens of countries, including the US, China, Germany, Japan, EU member countries, Russia, Canada, Brazil, Mexico, Turkey, Indonesia and several others. Collaborate with our lawyers to design market access strategies toward imports or exports. Together, we can analyze how trade policies and politics shape the commercial arena and impact your business. Fortune 50 aerospace defense company: Investigated and resolved global foreign national, technical data and hardware export violations. Fortune 10 company: Conducted comprehensive civil and criminal export investigations related to Department of State allegations of extensive ITAR violations. Large global engineering firm: Conducted compliance analysis and facilitated a voluntary disclosure in relation to apparent violations of export permit requirements. Large vehicle OEM: Notification to the Attorney General of Canada under Canada’s Foreign Extraterritorial Measures Act, Cuba Order. Fortune 100 defense contractor: Addressed complex foreign national, privacy and European export issues. Fortune 50 rocket-missile-propellant company: Investigated, advised and assisted in disclosing export violations to the US Attorney and the Department of State. Fortune 50 commercial and defense-oriented company: Developed a comprehensive export/import corporate compliance plan and program required by civil settlements for export violations. Publicly traded laser manufacturer: Audited more than 10 years of transactions under the State and Commerce Departments' regimes for publicly traded laser manufacturer's acquisition of a complementary laser producer, resulting in a comprehensive disclosure to the Department of State. US subsidiary of a US$3 billion foreign concern: Counseled on the application of and need for compliance with US export laws related to US/foreign-origin encryption technology proposed for various destinations inside and outside of the United States. Fortune 100 defense company: Negotiated multi-agency settlement and consent agreements related to alleged export violations. Fortune 50 dual-use product/technology company: Conducted a comprehensive, group-wide export audit under four export and US Customs and Border Protection regimes. US Supplier: After receiving a purchase order for the fabrication of items that involved classified and otherwise controlled data and processes, we counseled on the export control issues involved with the potential use of an overseas affiliate to actually make the parts requested. Oil and gas services company: Led the review, investigation and self-disclosure process with respect to export control violations related to submersible vehicles. Negotiated investigative scope with Commerce (BIS) investigators, prepared self-disclosure documents, and managed improvements to client internal review and compliance programs. 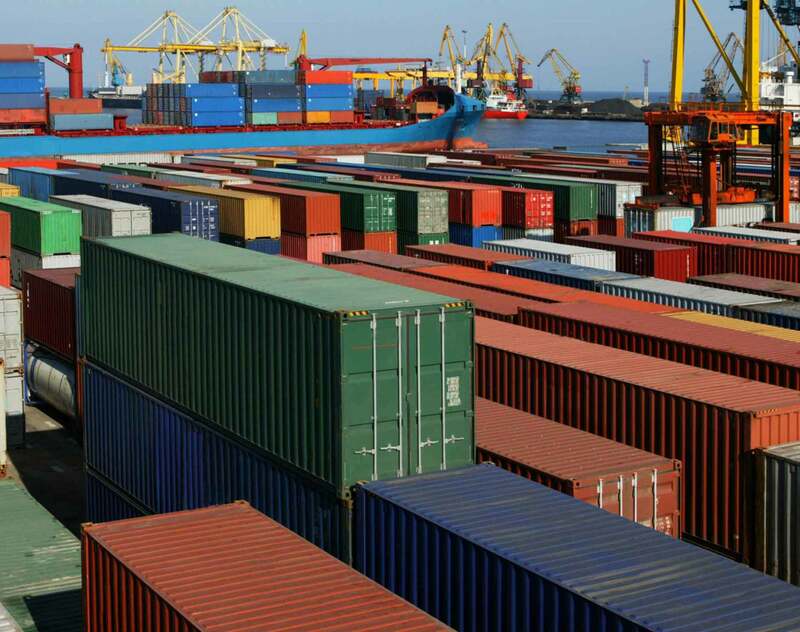 Multinational company: Engaged as co-lead for international trade compliance matters, including policy development, OFAC and EAR compliance, and general commercial compliance matters related to logistics and shipping services on a worldwide basis. The Commerce Department's Bureau of Industry and Security is seeking public comment as it develops a review and control process for "emerging and foundational technologies," as required under the Export Control Reform Act (ECRA). Passed earlier this year, the ECRA instructs US regulators to identify and establish controls for such technologies, which are deemed essential to US national security but are not currently identified on other export control lists. Brussels partners Edward Borovikov and Nadiya Nychay contributed a Thought Leadership expert opinion to The Expert Guides.